[Info] Super Junior started the rehearsal for their new song! 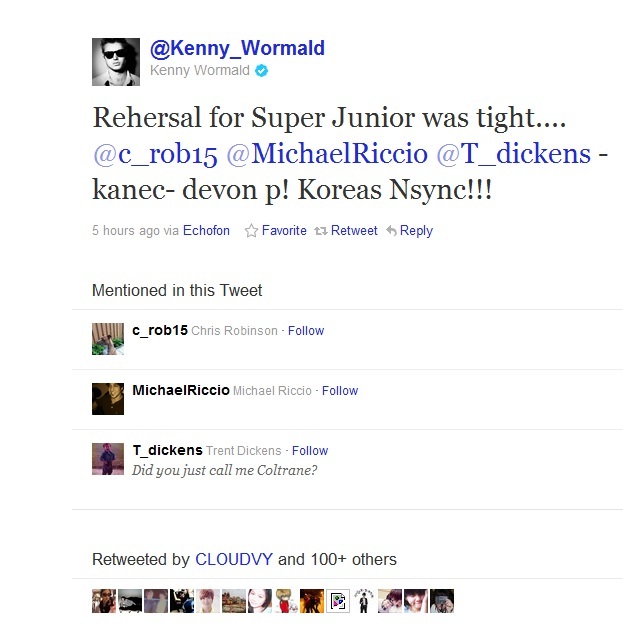 Kenny Wormald has confirmed on his official Twitter account that Super Junior's members are rehearsing the choreography for their new song. Kenny is the choreographer of Mirotic and featured in BoA's Energetic and Eat you up MVs while Trent Dickens helped with the Sorry Sorry choreography. Many thanks to V and Kka for sending us tips!